The perfect gown for the perfect day. 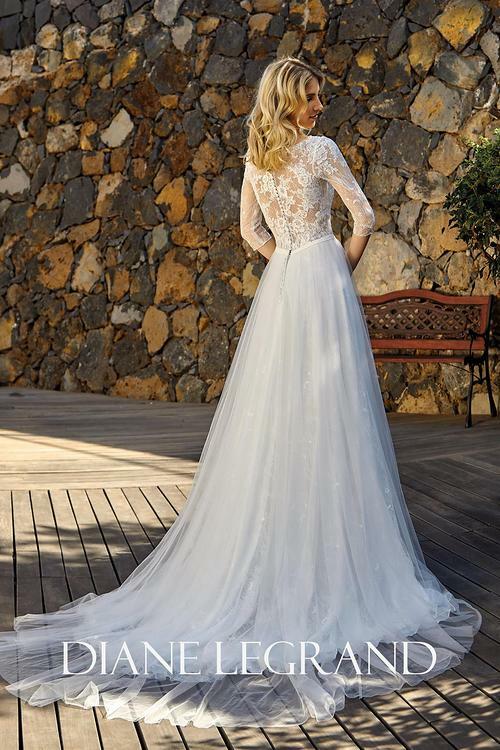 Light weight, long lace sleeves and a floaty a line skirt that falls into a small train.This stunning gown from Diane LeGrand has a wonderfully whimsical feel. Want a bit of bling? we have some beautiful diamante and moonstone belts too!